Out of the numerous decisions that go into wedding planning, picking Casey and Andrea Figlewicz of Figlewicz Photography was by far one of the best decisions my new husband and I made. 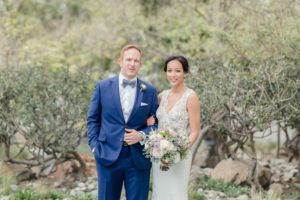 We had never had professional photos taken before and both Casey and Andrea made us feel extremely comfortable in front of the camera, and it felt like we were just hanging out with a couple of our friends. On our actual wedding day, Casey and Andrea went above and beyond what we expected as wedding photographers, assisting in making sure the day went smooth for my husband and I, in addition to capturing every moment on camera. Both our engagement session and our wedding day pictures turned out incredible and we feel fortunate to have such wonderful pictures that recapped our special day. 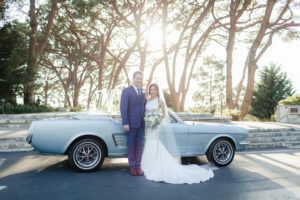 We would highly recommend them to any couple looking for photographers who will not only do a wonderful job at capturing your day, but also be extremely responsive and helpful in the days and months leading up to your wedding day. Casey and Andrea are AMAZING!! You really get the package deal when working with them — they are professional, fun and creative, not to mention so talented and such amazing human beings!! Their work of course speaks for itself, but you really don’t understand until you see your own photos! WE COULDN’T BE HAPPIER! Once the big day is over, you are only left with the photos and memories, and their work is nothing short of breathtaking! They have a way of making all your photos look so natural and candid, yet make you look like a super star! 🙂 We also used their videography services, and are so happy! Having a vendor team that has great synergy on the day of the wedding makes a huge difference! You’ll be forever thankful you chose the Figs for your wedding! Thank you guys, once again! You’ll forever be a part of our special day! Much love to you! Figlewicz Photography made our wedding day AMAZING. They are such professionals and so on top of everything. Not only are they super friendly and personalable they make the day more fun! They also keep everything organized and worry about all the little things that you really do not have time to worry about. They create a timeline for the day of too to ensure that the bride and groom can enjoy the day without worrying. Oh and did I mention the absolutely beautiful photos? True artists and truly a pleasure to have them be a part of our big day. These guys are amazing and their confidence in what they do Makes it so much easier to relax knowing that they are catching every moment that you may have missed. Very attentive to our needs it is obvious how much they care! Could not have asked for a better experience. Thank you!!! Loved, loved, loved working with Casey and Andrea. The venue we selected recommended Figlewicz Photography and after looking through their blog we were basically sold. We met with Casey about 6 months before the wedding for a cup of coffee and looking through the albums he brought just confirmed that we were making the right choice. Casey and Andrea have a very laid back demeanor which is VERY important on a day that can be stressful. They knew all the places and times that the light would be perfect for a particular shot. After seeing the final product, we could not be more thrilled. 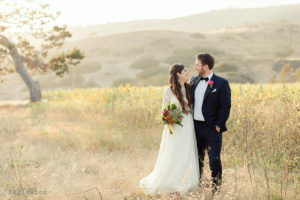 The photos capture the details and the emotions of our incredible day in such a beautiful way. Our blog post went up about a week after the wedding so we got a preview of the shots. 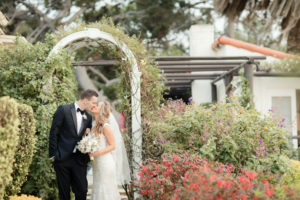 http://figlewiczphotography.com/maravilla-gardens-wedding-avi-and-rhett-part-2/ We LOVE the photos!!! Where do I begin on describing our experience? Not only are they an amazing photographer duo, but they are an inspiring couple with a beautiful family. 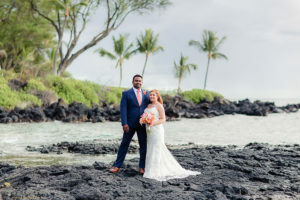 They are both deeply caring individuals and made my husband & I feel extraordinarily comfortable throughout our entire engagement photo shoot as well as the day of our wedding. They have a true artistic feel for any environment they are placed in. When I started following them on Social Media (Facebook and Insta), I truly saw how incredible their photos are, not only the photos they do for weddings, family portraits, etc., but also of their beautiful children and their lives at home. 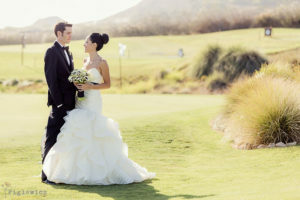 We are truly blessed to have been introduced to them through our venue (Los Verdes Golf Course). Casey & Andrea have an online blog and it’s so incredibly adorable! Not only did we get our beautiful photos from them, but they then took the time to write us an individual blog on our engagement photo shoot and the other for our wedding. 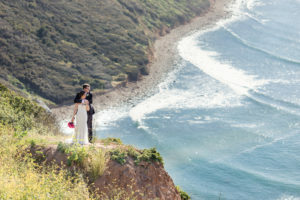 My most favorite interaction with C & A was when we were taking our engagement photos, Andrea took my husband and I down the side of this hill in Palos Verdes (near Portuguese Bend), to place us for a beautiful shot that Casey was going to shoot from up on top of the hill. We were roughly 300-400 feet or so from where Casey stood, and he started communicating via hand signals on where to place us. Andrea communicated back via hand signals and boom… picture taken! I was utterly shocked. Some people can’t even communicate when standing side by side with each other! But here our photographers were, communicating without words to set us up for an amazing shot. Their love for each other is beautiful, and how they work together is truly astonishing to watch. I cannot wait for our next adventure with our photographers. I would recommend Casey & Andrea to anyone, there are no words good enough to describe how much we love out photographers. Casey & Andrea were the photographers for my October wedding and they did an amazing job!! 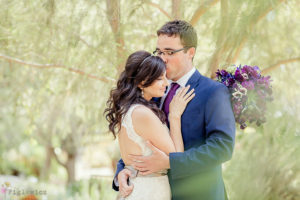 Not only did their kind & calm demeanor help my husband and I to feel super comfortable, but they were professional, assertive, and got all the shots that we wanted so I didn’t have to worry about a thing. And the pictures turned out beautifully!!! Casey and Andrea were absolutely amazing! They both work together so well. Cutest couple working together! They are super fun to work with and made us both feel very comfortable and more at ease on our special day with all the nerves. Not only are they a pleasure to be around they are very professional and organized. I was very pleased with the quality of the photos we’ve received. I loved the candid shots and having those captured in such a beautiful way is heart warming. Definitely had some tears of joy to forever have those moments to look back on. Casey and Andrea are the most down to earth couple and SO easy to work with. We were a little nervous before our engagement session and they immediately put us at ease during the process. They had a great way of creating and capturing candid moments for our pictures and they all turned out so much better than I could have imagined! When it came to our wedding day, they were great at guiding us through the process and again making us feel at ease. Andrea even helped with bustling my dress which was extremely appreciated (not sure we could have figured it out without her there). We got our pictures back from the wedding even quicker than expected and they were breathtaking. Anyone can point and shoot pictures, but Casey and Andrea are truly artists and I love their photography style. I would absolutely recommend them and look forward to using them again in the future. 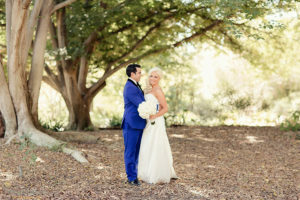 Casey and Andrea Figlewicz are an amazing couple who happen to create incredible photography. The love they share for each other completely shows in their work. They are the sweetest couple, so fun to work with, and they will go over and beyond to ensure they get that perfect shot! We were so lucky to have them apart of our special day and loved every minute of them being there! Amazing, beautiful and incredible, are three words that have been used to describe our photos done by the Figlewicz. I think that every photo they took was stunning. Not only were their photos great but the Figlewicz themselves are super amazing as well, with other photographers I have always been a little tense and nervous to let loose. With them everything was just a blast and I wasn’t nervous at all. They are amazing! The best hire we did for our wedding was choosing them. We hired them for our semi destination wedding on Catalina Island. They were extremely professional enthusiastic and helpful even when there were crazy circumstances. (Like the boat to the Island being canceled) They were heros and so easy to work with. The end results were incredible. The photos are so beautiful and capture all the emotions of that crazy amazing day. I’m so happy we hired them for our wedding! With my 1-year anniversary around the corner, this review is LONG overdue. I was looking at our wedding pictures recently, and am still blown away by how stunningly beautiful they are. The Figlewiczs were the perfect choice for my wedding photographers, and I could not be happier with the results! Casey and Andrea are a wonderful husband-wife team who went above and beyond to make my wedding day special. Casey has an incredible eye for framing shots and catching them at the right moment, and Andrea’s detail shots are artfully composed. Besides that, they were really helpful at keeping us on schedule and for accommodating our requests to stop at multiple sites in the South Bay for photos on our way to the reception. Andrea even helped sew my Mom into her dress when the zipper broke, and worked her magic again mid-reception to sew up my train once the clasps holding it broke from too much dancing! I don’t think we could have pulled it off without them. I am so grateful for their professionalism, attention to detail, flexibility, and kindness. I HIGHLY recommend them – they are wonderful to work with. Thank you so, so much for everything!!! Casey and Andrea were awesome to work with! They were absolutely professional and made us and our families feel comfortable through the whole process. We literally have nothing but positive things to say about them. They make a great team and very talented at what they do. Everyone who has seen our pictures have been blown away at the quality and emotion captured in each picture. We could not be happier with the results! Thank you! 5/5 rating.. does not really cut it for these guys. 10/5 is more appropriate for a team puts a 150% effort into the work they do. It was an absolute pleasure working with Casey and Andrea. Their technical shooting ability and their artistic eye is evident on their blog. Past that, what I loved about working with them is that they really care! and this shows in the pictures they take and the interactions they had with Hannah and I. I couldn’t have picked a better team to document one of the most important days(Wedding) of my life. Casey and Andrea, the amazing husband and wife team of Figlewicz Photography, were truly a joy to work with! Not only is the quality of work just incredible, but they are both just so much fun to work with! They undoubtedly know exactly what they’re doing, they know what will look great in the pictures, and they make everyone look incredible! The way in which Casey and Andrea are able to capture every precious moment is just perfect. They also were able to truly capture how much fun everyone was having and what a beautiful wedding it was. We are so grateful to have been referred to Figlewicz Photography and would not hesitate to refer them to anyone looking for a wedding photographer! Thank you so much for making the day that much more special by creating such a stress free and relaxing environment! I did a lot of research on photographers when I was newly engaged. The minute I got on the Figlewicz website, I knew I had to book them! Their work is incredible! Their photos are so natural and they catch the best moments. Casey and Andrea are a husband & wife couple who are so artistic as a couple and so creative individually. We ended up booking Figlewicz for photos, video and photobooth. I would definitely recommend doing an engagement shoot. You really get to know the photographers, which side is your “good” side, how you’ll pose for the wedding day, etc. My then fiance and I were so awkward during our engagement shoot but Casey and Andrea really made it comfortable for us. Our smiles and laughs in our photos are genuine and by the end of the shoot, we were pros! On the day of the wedding, our videographers were amazing and we were really happy with our wedding clip and footage. The photobooth was a hit and the guy running it was really interactive with all the guests. All in all, I’m SO happy with the Figlewicz in every way…THANK YOU!! Casey and Andrea are amazing to work with! I fell in love with their photography after they did my sisters wedding. They made us feel very comfortable through out the day of the wedding. Also, about a week later you get to see a sneak peak of your photos and then soon after you get all of them! Thank you guys for your amazing work! I had to choose a different photographer halfway through my engagement (stressful-ahhh), and thought of Casey & Andrea Figlewicz, whom I was familiar with through other family and friends who had worked with them before. Casey answered my call immediately and was so sweet and worked with me on my unusual circumstance, and I was thrilled and relieved when he confirmed they would be able to be our wedding photographers on our Friday in August. They even had a wedding the next day, which proves how sweet and flexible they were in willing to work two weddings in a row (many photographers won’t do that). 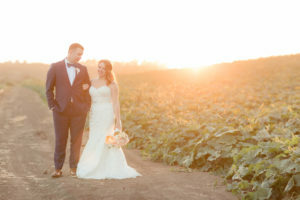 Figlewicz Photography is warm, romantic, sunny and bright, & is a timeless look we believed would capture our wedding well. Although we hadn’t met them in person til our wedding day (our engagement photos were done with a previous photographer before switching), the chemistry flowed so easily. They are extremely professional, so comfortable to work with, and open to suggestions. There were a few specific photos I wanted (pinterest inspiration stuff) that they captured which was great, and as a bride, looking back, I wish I maybe would have made more time to have more specific photos captured during the reception, but that’s a small thing. Our day was running 30min behind schedule, but they worked so well to squeeze in all the important photos we wanted. 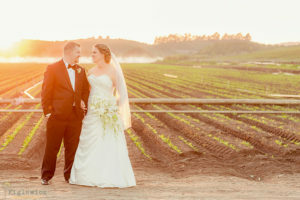 Sunset photos are one of their expertise as well and we love how those turned out so beautifully. We also received our wedding photos back within two weeks! So quick. I would also say the 10hour value was definitely worth it. I would highly recommend Figlewicz Photography to anyone. They have tons of experience, are so down-to-earth, and easy to work with. We absolutely loved working with Casey & Andrea! Casey and Andrea were absolutely amazing! They made Kyle and I so comfortable on our engagement shoot and wedding. They are such a sweet couple and we could not be any happier with the way all of the photos turned out! I will recommend them to everyone I know! Casey and Andrea were truly amazing to work with. In addition to wonderful photos, they were extremely helpful!! I had no idea how quick and hectic the wedding day would be, and they were there every step of the way to direct me and give me helpful advice. Despite having 8 bridesmaids, Andrea bustled my dress and helped me to get a lipstick stain off it, and even held my sisters crying baby at one point. So helpful and SO nice! I got the video and photo package. They are absolutely amazing to work with! They are so professional and really masters at what they do! They listen to what you want while still giving great suggestions! 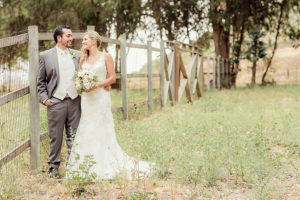 They truly are some of the best photographers I’ve seen shoot weddings! And they are so kind and personal. Aside from being amazing photographers, they are just great people! 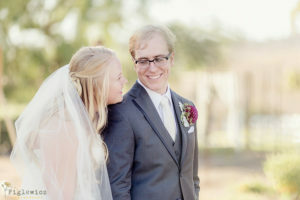 I’m so blessed to have had them shoot my wedding! 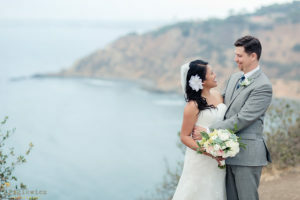 We had our wedding at La Venta Inn at Palos Verdes in October this year. It was a pleasure to work with Casey and Andrea for our engagement photo shoot and for our wedding day. They are very professional so I completely trust them and didn’t need to worry about anything. They are also very approachable and friendly that my guests love them and their photos. We had a difficult wedding week as my husband’s mom was very sick and couldn’t make it to the wedding. Once they found out, they offered to take photo for us if we need them to go somewhere else at his mom’s place and also sent us a note to check on his mom’s situation. Josh and I are very grateful to meet both Casey and Andrea and happy that we made the right decision to work with them as their photos are fantastic and beautiful. It captured all the moments that we will remember forever. The team at Figlewicz Photography is AMAZING! You should stop wasting your time reading and call them to book NOW. From the engagement to the wedding day, Figlewicz made the entire process effortless. Casey + Andrea perfectly captured our wedding day. Their images will enable us to remember our special day forever. Their communication and billing is easy and seamless. Their cool vibe and professionalism made the whole process a dream. I would recommend Figlewicz Photography to ANY bride, groom, family member, friend or stranger on the street looking for glorious photography. Hiring Casey and Andrea was one of the best choices we made in our Wedding Planning. It was very important for us to have photographers who would, of course, capture excellent shots but also have personalities that we connect with and enjoy. After all, your photographer will be with you all day and directing certain shots, so you want someone you are comfortable with and will easily smile around. I thoroughly appreciate their eye for beauty, their attention to detail and professionalism. The pictures turned out even better than I could have hoped for. I highly recommend them! Amazing. Personable, creative, easygoing, professional, on-time, thorough and very respectful to consider our particular hopes and needs for how we wanted our day captured. We are so grateful to have had them on our wedding day as we had high expectations and they made everything easy and incredible. Casey and Andrea are a husband and wife team, and they are awesome to work with! Not only are they friendly and professional, but they do great work! I love my engagement and wedding photos and I’ve heard so many compliments from friends and family! My now-husband and I wanted an ocean bluff photo for our engagement photos, but we were not able to because of the weather. However, Casey and Andrea made it happen for our wedding and even through the busyness of the day, they took my husband and I to the bluffs to take pictures. Casey and Andrea, I love your work! Thank you for being such wonderful photographers! God bless you both! What a wonderful experience we had with Casey and Andrea! They are great photographers and very experienced. They know just what to capture, so you don’t feel like you have to tell them what to take pictures of…you can just enjoy your wedding day while knowing that you will have beautiful pictures to remind you of all the memories from that day. Not only that, but their communication is personalized and make you feel like your engagement and marriage is important to them. I couldn’t recommend anybody more than Figlewicz Photography!!! There are three types of people in this world when it comes to professionalism; floaters (80% of people), workers (19% of people), and the Great Ones (1% of people). When it comes to Wedding photographers, The Figlewicz’s are the greatest of the greats. When you watch most pro athletes at any given sport, you think, they must be really good just to be playing at the professional level. However, when you see the top 1% player take it to another level; the Michael Jordan’s, Tiger Woods’s, Wayne Gretzky’s, the good players start to look like your grandma. The Figlewicz’s are the Michael Jordan of wedding photographers, and they had a game 7 of the finals performance at our wedding. On your big day there will be many things weighing on your mind; I hope it doesn’t rain, I hope she shows up, I hope my aunt doesn’t drink to much and take her top off, but with The Figlewicz’s, one thing you will most definitely not have to worry about is whether or not all the great memories will be captured. All jokes aside, if there was a way to add a star to this rating I would add ten of them. Needless to say, I suggest you don’t hesitate to use these guys at your wedding, or at any event for that matter, they will make your experience great. I don’t know if I can put down in words how much I love Figlewicz Photography but I will try. They are an amazing husband and wife team. They work great together. I have always loved their photos and before getting engaged I knew I wanted Figlewicz Photography for my wedding. They were very professional throughout the whole booking processes. They always responded fast to emails. They provided great referrals, several of which I used for my wedding. My husband and I have never been photographed professionally so we were nervous about the engagement photo session. Casey and Andrea made us feel relaxed and comfortable during our shoot and our photos turned out great! They were happy to include our dog in our photo session. They also have a great online system. You are able to monitor your payments and reminder emails are also sent when your next payment is due. That is very helpful when you have to remember a million other payment due dates during your wedding planning. They were such big help on the day of the wedding. Andrea helped calm me down when my nerves and tears got to me and was also right by my side to help me when a little shoe emergency happened. She stayed calm throughout everything and kept me calm as well. I had sent a couple photo requests to Casey prior to my wedding day and he remembered each one and was able to recreate my requests on the big day. Casey and Andrea have an eye for great photos. We have gotten so many compliments from family and friends on how great the wedding photos turned out. We received the wedding blog less than a month after the wedding and it brought me to tears looking at all the great photos they took. Brought me right back to the day and I was reliving it all over again. I would definitely recommend Figlewicz Photography to anyone I know! I cant tell you how happy I am with Figlewicz Photography. Everything about Figlewicz Photography was perfect from the start. Casey and Andrea were very responsive to emails and phone calls and were willing to negotiate on price and services which was a huge plus. Kaitlin and Dan were our shooters for our wedding and they communicated with us through the whole wedding process which made photos run smoothly. Kaitlin and Dan were extremely professionals and fun. They kept the mood light and made the pictures easy and stress free and got us back to our wedding fast which was great! Our photos were simply stunning. Every picture was beautiful and they way that they were presented captured the entire day. I am very satisfied with Figlewicz Photography and I would highly recommend using them for your wedding. Working with Andrea and Casey was an absolute dream. Getting to know them and seeing how comfortable they made us, it felt more like we were becoming friends than working with a paid for service. Corresponding with the team was effortless, they are super responsive to all emails and seemingly petty *cough* bridezilla questions. 🙂 They provide guideance and professionalism during the shoots and really have an eye for what is beautiful and will photogragh well. I’ve had numerous wedding guests tell me how great the photographers were and we got a sneak peek at some raw unedited wedding shots… I couldn’t be happier!! Can’t wait for the rest of the photos!! The husband and I would highly recommend The Figlewicz Team for all photography needs. I don’t even know where to begin when describing my experience with Figlewicz Photography. I reached out to Casey and Andrea via email to get more information on their photography services. In my email I told them just a little about my now husband and I and a brief rundown of what we were looking for. Casey and Andrea were so quick to respond and although they told me they were unavailable to shoot our wedding that day, they explained that one of their team photographers, Stacee was available and would be a perfect fit. What totally sold me on working with them was when they explained that we would love working with Stacee because she has the same Heart and style. From the beginning our experience was so personalized. They genuinely cared about who we were as people and as a couple and what role our Faith played in that. Stacee met us at a coffee shop and we became instant friends. 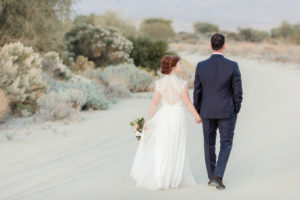 When we explained to her that we originally wanted to get married in Palm Springs but were unable to, she immediately said “LETS DO YOUR ENGAGEMENT PHOTOS THERE!” With no hesitation (or extra fees of any kind) she drove hours to shoot with us in the most beautiful desert location. My husband and I are both completely uncomfortable in front of the camera and Stacee made us feel like it was three friends just hanging out. She brought the best games to make us naturally laugh and have fun shooting. She so perfectly captured our love, our story, and our perfect day. Thank you so much, Stacee! I would highly recommend Figlewicz Photography to anyone looking to work with the kindest people, with the best hearts who happen to be by far the best photographers. We hired Casey and Andrea last fall to do the photography for our wedding on April 1st. They were wonderful! They were great to work with and we absolutely love our photos. People in our bridal party kept mentioning how they were so easy going and fun to work with. They’re a great team and made many excellent photo recommendations day of. 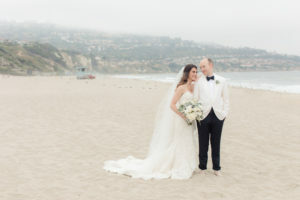 I wanted the ocean in our photos since we love the beach and they had all these great ideas for incorporating both the marina in Redondo Beach as well as gorgeous ocean views from the cliffs of Palos Verdes. 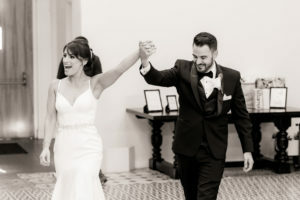 We also received our photos really quickly and we were really impressed with them and have had so much fun sharing them with friends and family. We would definitely recommend Casey and Andrea to do your photos for any special occasion! We are so happy that Casey and Andrea were there to capture our wedding day! We loved working with them – they were friendly, professional, and fun. We LOVE our engagement and wedding photos and could not be happier with them. On our wedding day, Casey and Andrea were also so helpful – it felt like we were hanging out with friends the whole time. They sent us our engagement photos and wedding photos within a couple weeks of our wedding and even gave us a preview immediately after the wedding! Highly recommend them to anyone looking for a wedding photographer! 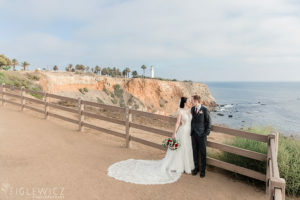 Working with Dan and Figlewicz Photography was a breeze.- from communicating with them to working with our budget. Dan did an amazing job and we love the way our photographs turned out. Thank you. If we could give 10 stars we would! Casey and Andrea are the cutest and coolest photographers! 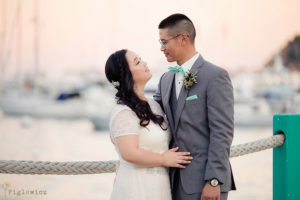 These two are an extremely talented, easygoing, organized, power couple. They shot our engagement and wedding photography and we couldn’t be happier. 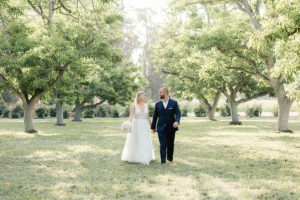 We felt instantly comfortable with them, and we’re in love with our photos and how beautifully they captured our special day. Andrea is SO prepared – it was really hot on our wedding day and she brought an instant cold pack that she gave me to literally put under my dress (that’s love guys). She also had a sewing kit all set for when my grooms suit button fell off. You can tell it’s not their first rodeo, and it put us at ease knowing they had our backs. From initial booking to weeks after the wedding, their communication and follow-ups have been informative, timely, professional and helpful. They were so on top of it, and their emails in the couple of weeks leading up to the wedding were adorable and exploding with excitement. It has only been two weeks since our wedding and they’ve already posted our photos to their blog – so on top of it! Everyone’s been complimenting us on how amazing their work is, and we highly recommend them to capture your special life moments.